"My son is having so much fun!! Thanks for this wonderful experience!!" ​​​​"Kids had fun in Cookie and Cake decorating. I even learned so much during parent time about water coloring your cookie. I can't wait to try!! Thank you, thank you!" ​​"I love the dancing, but even more I love watching these kids support and help each other and the younger kids." "It's a great program. [My child] just finished two classes. My [other kids] are going soon for the Princess and Super Hero academies." 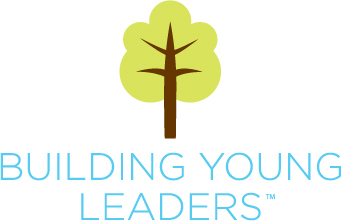 "Great program for children of all ages and varied interests.​​"
​​"​​Building Young Leaders is an answered prayer. Thank you, so much!" "​​I just want to congratulate you for the very beautiful show yesterday at Merced Theater which was amazing." ​"For myself and all who came to see my grandson, we were enchanted with all of the the performances. Thanks to you, your teachers and volunteers for the dedication, hard work, patience and creativity necessary to present such an enthralling evening. KUDOS!" ​"I just wanted to thank you for what you are doing for our kids! I had an experience this week with the girls that showed me how different they are and it makes me happy... You are giving them skills to be able use those differences to be the leaders". "​​I wanted to tell you that your show turned out so beautiful. You should be proud! The circle of life theme was so touching!" "My children participated in the Shakespeare's Merchant of Venice workshop. I couldn't believe how excited they were about Shakespeare after the class. They couldn't wait to tell me all about the characters. I struggled through Shakespeare during High School and appreciate that because of Wendy's workshop my children won't have to. Wendy is a gifted teacher, inspiring joy in learning even the most difficult subjects." ​​"I was so pleased with the entire show and am grateful for the chance to have my granddaughter experience the performance.The message was amazing! I am looking forward to keeping her involved in your program.Thank you so much for making this all happen." ​"All five of my children participated in a play that Wendy directed and choreographed. I can't even begin to describe how impressed I was. In just three weeks the children put on a play requiring memorization of multiple songs and speaking parts. Wendy has an amazing way of relating to children of all ages and they respond by working hard to meet her expectations. Wendy is creative, organized and gifted. I highly recommend any of the classes and workshops she offers." "​​I thought that you ran such a smooth rehearsal and everything was so great. Some of the rehearsals we have been involved in over the years have been so chaotic. I loved how yours went. You were totally in control and yet you took time to explain things to the kids like the history of the theater." ​"My kids had a great time today. [My daughter] says she can't wait to take more classes!" ​"​​[The show] was beyond Amazing!!!!" ​"[My daughter] had so much fun! She told me the story of the play and about William Shakespeare and was so excited when she saw a poster for the Merchant of Venice. Thank you so much for doing this!" "​​[The Dream Show] took my breath away, so sweet. Thank you, the entire production was state of the art, a masterpiece. Completely original, fresh, inspiring and classy. I am in complete awe, you surprised all of us. I am proud beyond words. And confident my daughter will blossom in dance, thank you...."
"Thank you so much for the wonderful experience! The teachers are wonderful and Chloe has had a great time. We look forward to taking sewing again and again. You have a great program!!" ​​​​​"I never worry about what you are teaching because I watch the way you interact, love and listen to the kids in the class. This makes me feel good about sending my kids to all your wonderful classes. When they come home and are able to tell me what they learned in detail shows me that the way you teach and keep things so interesting is working. Just the other day I asked my son what he was learning in class and 20 minutes later I finally had to stop him to take care of a another child in the house. I was amazed. Thank you so much." ​​​"Mrs. Spencer is well acquainted with many approaches to education; she understands that children develop their skills at different rates and learn in different ways. My children participated in her multi-level math class, where she found a way to engage every child at his or her individual level, even though the kids ranged from Kindergarten to fifth grade. She knows how to accommodate kids at various stages of maturity, never making any of them self-conscious in front of their peers." ​"My daughters have been benefiting from Wendy Spencer's creative teaching for two years now. We're big fans! Wendy provides an incredible blend of fun and creativity with high-driving goals for the children. My girls invariably come away from their learning experience with Mrs. Spencer delighting in their experience and all they have learned. I am continually impressed with the content and quality of their time under her instruction." ​"I think Ms. Wendy Spencer is amazing! She is so kind, caring, fun and always has the best smile. I love Singers Company! It is such a great way to be yourself." ​"Mrs. Spencer, do you do these classes EVERY Saturday?!" ​​​"I love Art Class! I learn so much every time. I learned how to make paint and about great artists. Ms. Wendy Spencer makes everything so much fun. I love all of her classes." ​"My seven-year-old daughter entered Mrs. Spencer's class soft-spoken and shy; I couldn't leave her side without her panicking. How could I have guessed that six weeks later she'd be standing on a stage by herself, delivering a speech about the abolition of slavery -- in front of 50 people--"
"Dependable, reliable and the kids are always eager to go." ​"Mrs. Spencer offers academic excellence in a safe and nurturing environment. She has an uncanny ability to adapt her teaching style to the needs of each student. Her selection of instructional materials are essential to a solid foundation that includes an above standard level of education . As a mother of two of her students and as a professional I highly recommend her classes." "​What a beautiful evening.THANK YOU for the gift of that evening...a beautiful community experience...an artistic expression of joy and hope...a wonderful experience for all. Thank you for sharing your DREAM!!!" Have Feedback?! Please email it to BYL.Director@gmail.com! I was looking at the “It’s About Time” program, and reflecting on what fantastic shows those were, both the one for the schools and for the Friday night audience. I LOVED them! They were SO well prepared, SO well done, SO meaningful and SO enjoyable! From the clever title to everything else, they were very amazing. I can’t say enough about the high quality of the choreography, the costuming, the messages/meaning of the dances and slides, the choices of music (peanut butter and jelly, just one example! ), how the videos tied the whole theme together, the venue, the cleverness of the puppets, the puppets dialogue, etc. etc. Not only the audience loved the shows, but you could tell from the smiles on the dancers faces, they loved doing it as well. Thanks for lifting us with the beautiful art of dancing, music and great value messages. To me, it is obvious BYL has a far-reaching, positive influence on not only each of the individuals participating, but the community as a whole. See What They Have to Say about BYL!